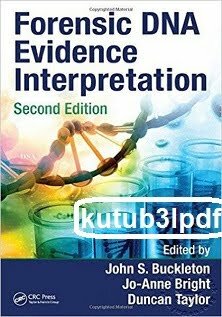 This Textbook begins by reviewing all pertinent biology, and then provides information on every aspect of DNA analysis. This includes modern interpretation methods and contemporary population genetic models available for estimating DNA frequencies or likelihood ratios. Following a chapter on procedures for validating databases, the text presents overviews and performance assessments of both modern sampling uncertainty methods and current paternity testing techniques, including new guidelines on paternity testing in alignment with the International Society for Forensic Genetics. Later chapters discuss the latest methods for mixture analysis, LCN (ultra trace) analysis and non-autosomal (mito, X, and Y) DNA analysis. The text concludes with an overview of procedures for disaster victim identification and ..information on DNA intelligence databases.